Designed in secret during the second world war, the Renault 4CV was launched to the French public in 1947. Much like the Citroen 2CV, it played an important role in mobilising France after the war. Unlike its French counterpart, the Renault 4CV offered four doors and was rear engined. Power was provided by a tiny 18BHP 760cc four cylinder engine which was mated to a three speed transmission. Thanks to its light steering, rear engine and independent suspension, the 4CV had competent handling. It lacked power and speed however (though this was addressed with the later 42bhp Gordini tuned R1063 Sport). Despite its lack of performance, the 4CVs chic styling earned it the nicknames “La motte de beurre” (the lump of butter) and “quatre pattes” (four paws). It would go on to be just as popular in France as the Citroen 2CV, selling over one million by the time production came to and end in 1961. Offered for sale is a 1949 Renault 4CV which has been subject to a full restoration. Originally a French car, it was imported into Portugal in 2004. The seller states that a large amount of money has been spent on the restoration and over 100 photos were taken of the restoration process. 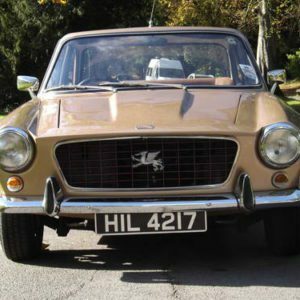 The seller also notes that the cars originality is certified by The Portuguese Classic Car which is a FIVA member. The listing doesn’t state if the engine, transmission or the other mechanicals have been restored or overhauled, but we assume this work was been done during the restoration. The Renault 4CV is a very chic little car. And we love the split rim design of the wheels. The rear shares cues with the Beetle, thanks to the engine lid design. An example of some of the trim shows signs of wear. Clean but original and not over restored. The interior is pure simplicity. 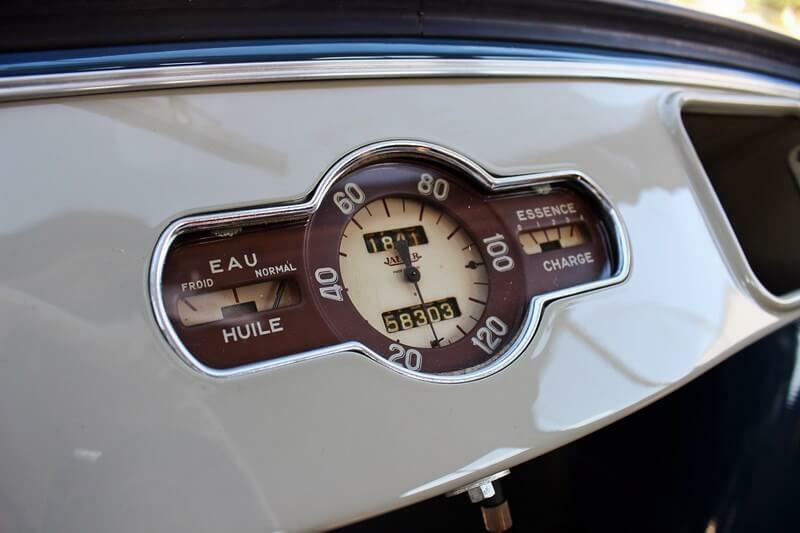 The dashboard gauge is one of our favorite features on the car. The underside looks nice and clean as one would expect on a restoration of this quality. 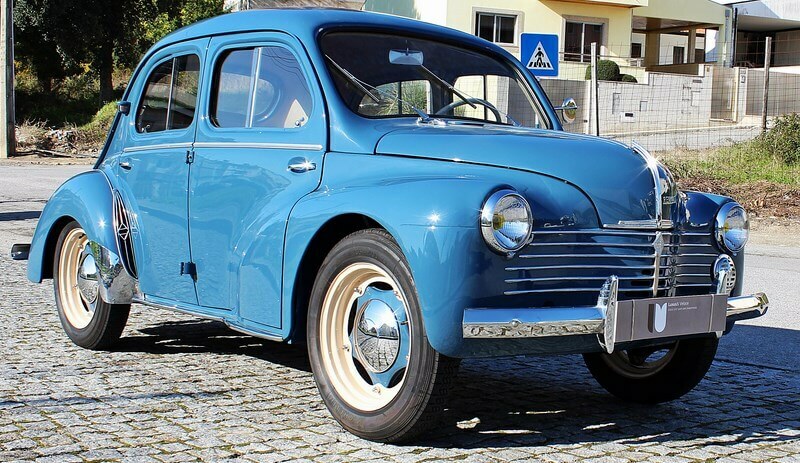 At a glance it is easy to mistake the Renault 4CV for a Morris Minor, thanks to the similarities of the front end. Even the rear shows hints of the VW Beetle (indeed Ferdinand Porsche was involved with the project prior to its launch). This particular 4CV presents itself as a lovely example of the classic French chic car. It looks very attractive in blue and the paint has a lovely shine. The seller has provided a very extensive selection of photographs which is exactly what we like to see when selling a car of this vintage. It gives a very true and honest account of the condition of the car and we have to say it looks lovely. It is a fascinating glimpse of French car design as the automotive industry tried to rebuild itself after the war. 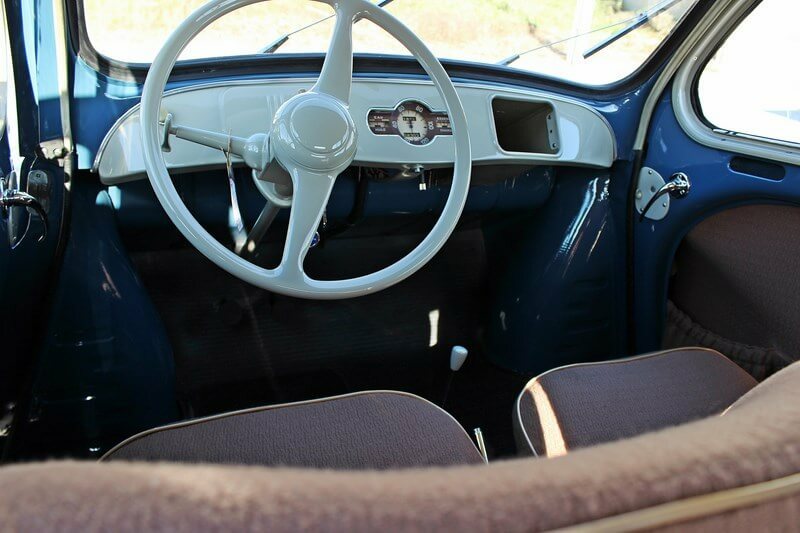 We love the simplicity of the interior and especially like the design of the dashboards single gauge. 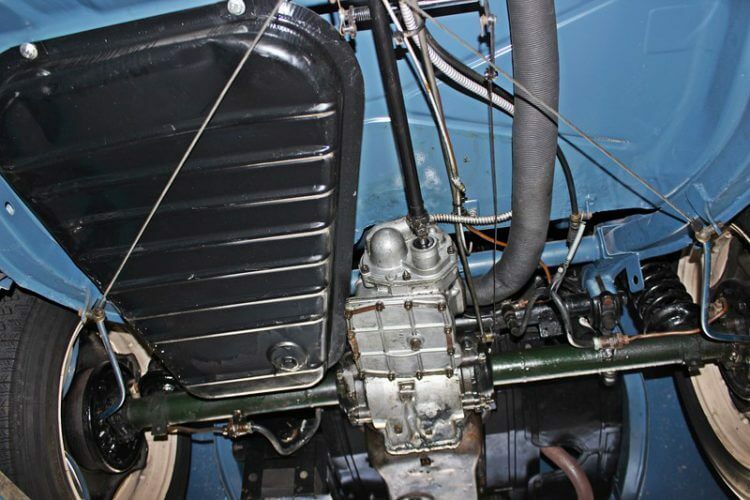 Speedo, Oil, Water, Charge… that’s all the late 1940s Renault 4CV driver needed. The front suicide doors also add to the charm and suit the design of the car. Looking through the vast selection of photos, we’ve noticed that some of the external trim hasn’t been re-chromed. Some enthusiasts might expect these to have been refinished, but we actually like the fact that the chrome and trim pieces are showing signs of age and wear. It adds a nice patina to the car, ensuring it doesn’t feel over restored, helping it keep its originality. 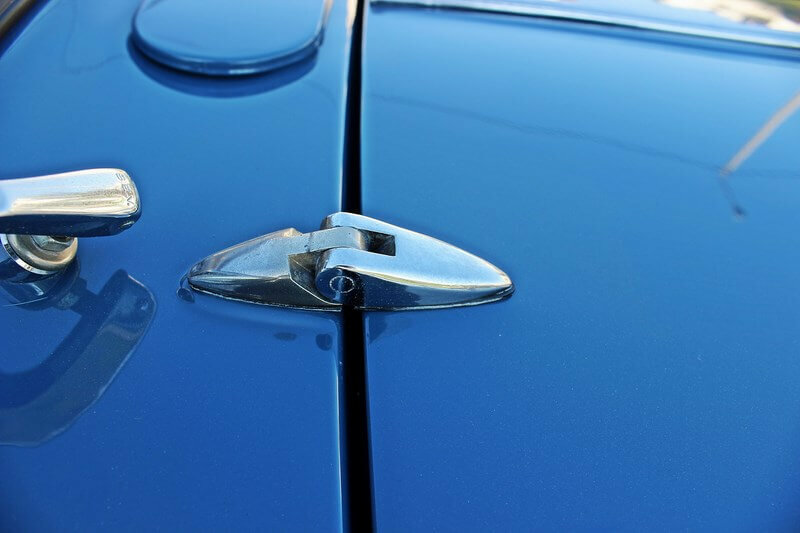 Little details like this just add to the over all charm of this Renault 4CV. 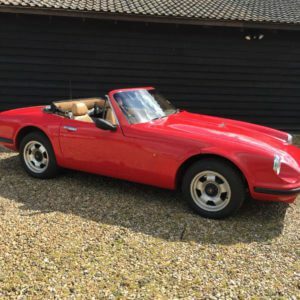 If we were in the market for a rare car like this, we would feel very confident about its condition thanks to the visual record provided by the seller. 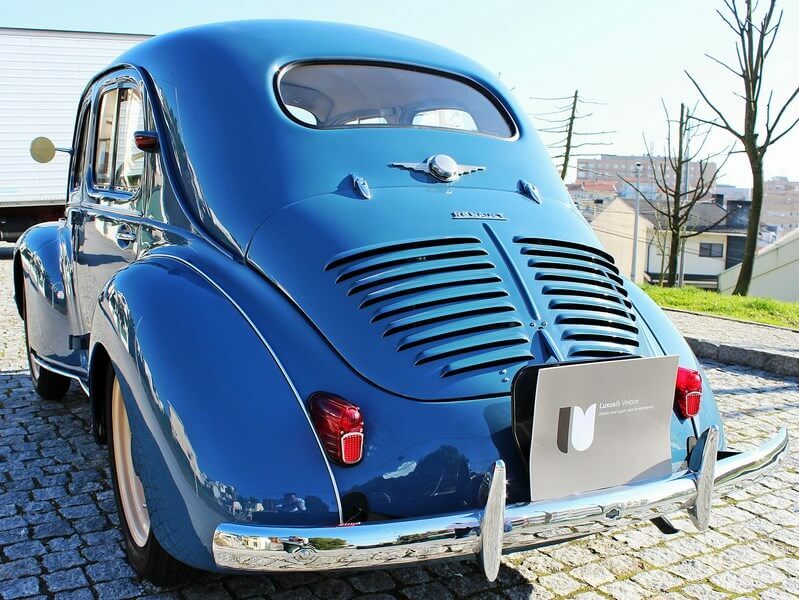 This Renault 4CV is offered for sale by Luxus & Veloce who are located in São João da Madeira, Porto, Portugal. The asking price of £12,250. More details can be found here on the Luxus & Veloce website.